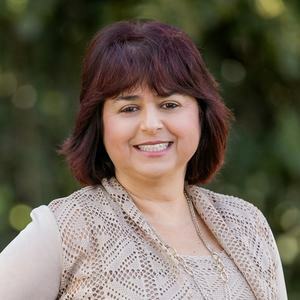 Nicole Costas is a Master Certified Negotiation Expert, Certified Distressed Property Expert and short sale negotiation specialist who is experienced in buying, fixing and flipping single family homes and condominiums. Nicole and her team manage a roster of luxury, REO, short sale and probate clients, specializing in residential, commercial, land/lot, investments, and leases. Nicole's more than 25 years in residential and commercial real estate, combined with her flipping experience makes her a powerful ally for first-time buyers, since she has the experience, creativity and vision to "see" the untapped potential of any property, and to know exactly what it will cost to bring out that potential. Based in West Los Angeles, California, Nicole works throughout Los Angeles and the San Fernando Valley, serving Valley communities from Universal City and Toluca Lake to Woodland Hills, West Hills and Calabasas, as well as Los Angeles neighborhoods from Downtown LA, Hollywood, Beverly Hills and other cities throughout West L.A.
Nicole's expertise makes her the ideal one-stop shop for home and condo buyers, sellers, investors, and active retirees on the go. Nicole is loyal, trustworthy, straightforward, but not pushy, and an unshakable ally who is passionate about achieving all of her clients' goals. From newbie investor to celebrity home seller, Nicole treats every client with the same great communication, careful attention to detail, and kindness. Nicole has a Bachelor of Science degree in Business Administration with an emphasis in Marketing from California State University, Northridge (CSUN).